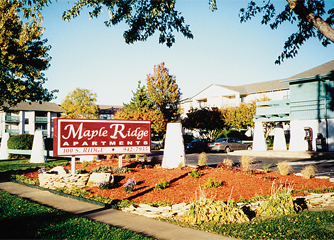 Large apartment homes, located conveniently in west Wichita. An address you'll be proud to call your own. 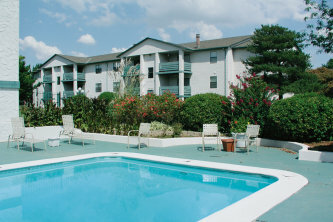 Fifteen minutes from downtown and only a few minutes to Towne West, New Market Square and Mid-Continent Airport. Located 1/2 block north of Maple Street, on Ridge Road. 1 bedroom . . . . . . 568 sq. ft.
1 bedroom . . . . . . 610 sq. ft.
1 bedroom . . . . . . 704 sq. ft.
2 BR, 11⁄2 bath . . . 940 sq. ft.
3 BR, 2 bath . . . 1,120 sq. ft.